As part of the ‘Neolithic inspired’ range Michael makes ‘Petrospheres’. 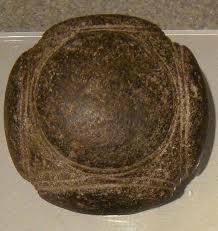 These are the stone balls found here, in various areas of Scotland and occasionally further afield. Nobody knows what they were for, child’s toy!, a show-off piece, or just because!, but what we do know is that they are very beautiful and intriguing. Some are very simple and others are extremely intricate and ornate. 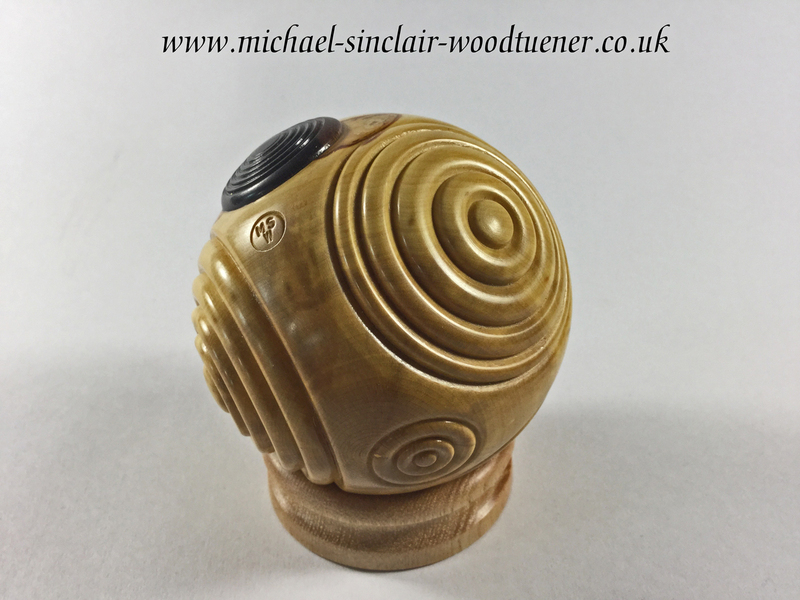 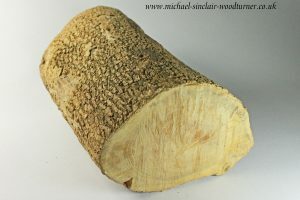 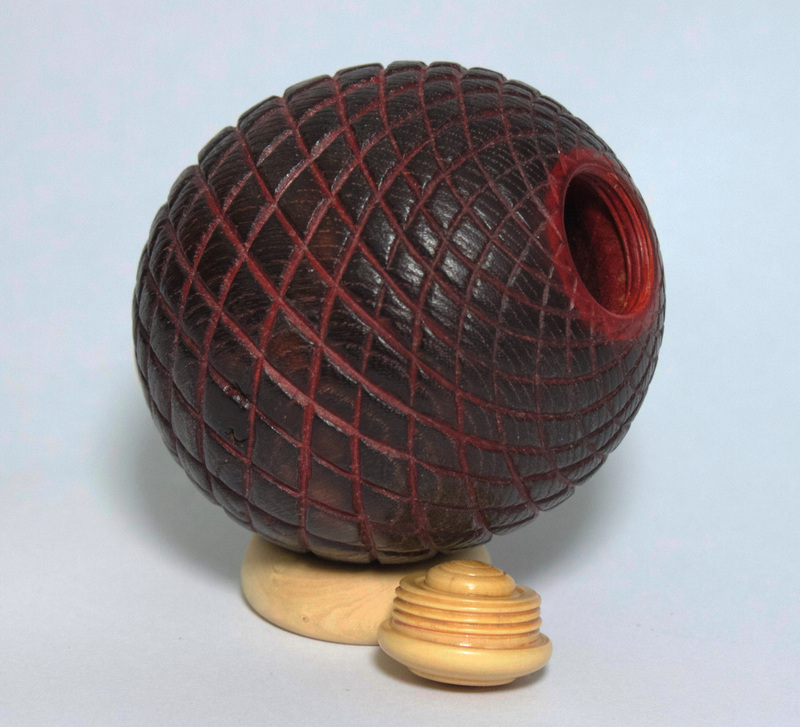 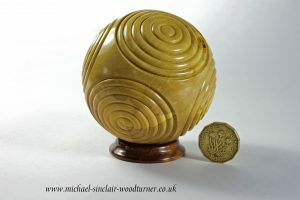 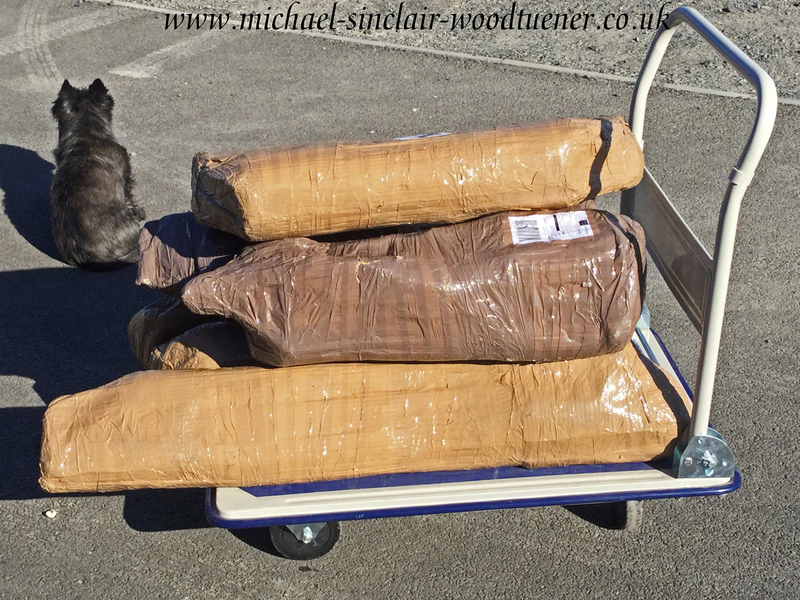 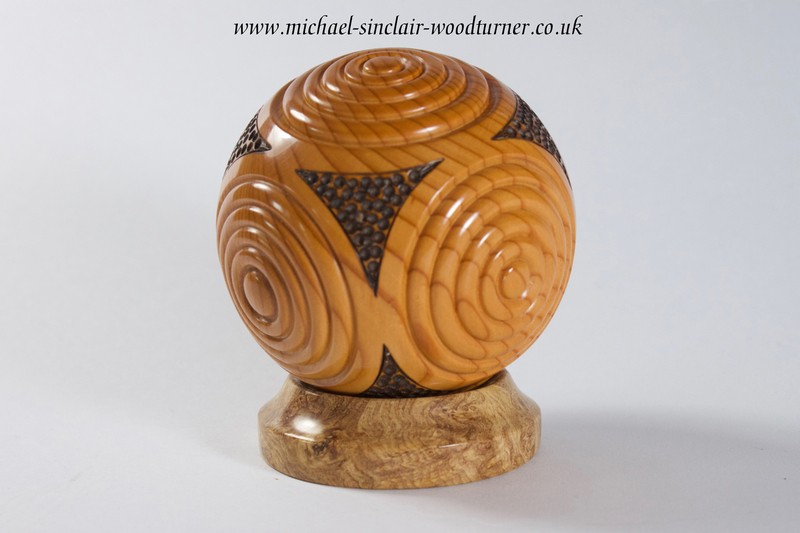 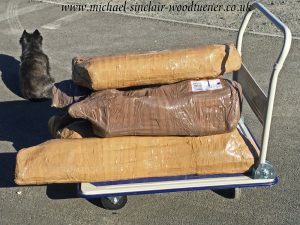 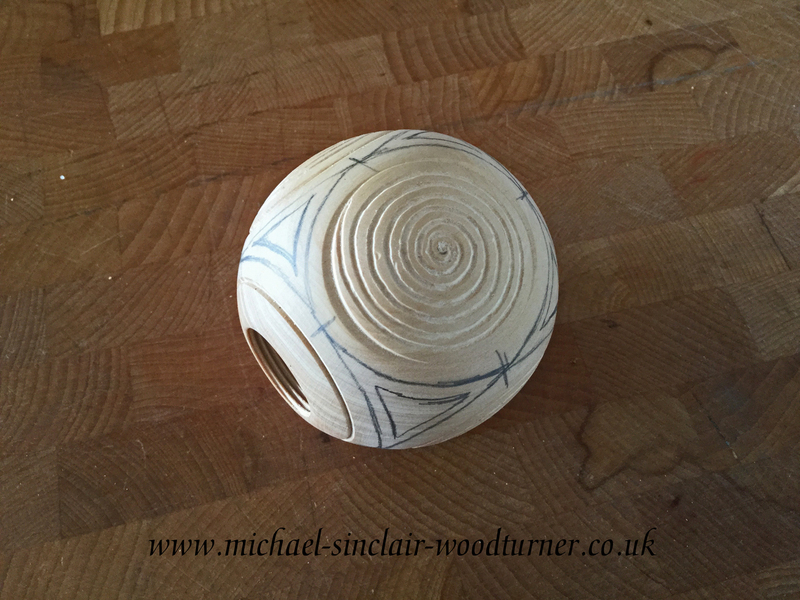 Michael uses mainly English boxwood to turn the ‘petrospheres’, although he has used other timbers like the yew. 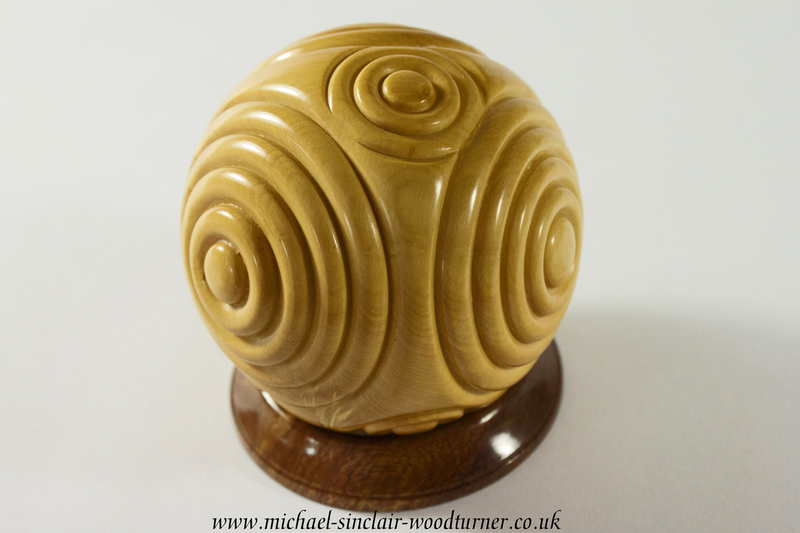 Boxwood you will see all round the UK. 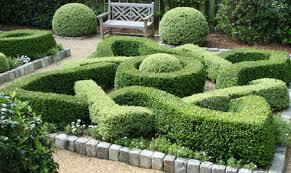 It makes excellent border hedges and ornate garden layouts quite often seen in large country house as well as topary. 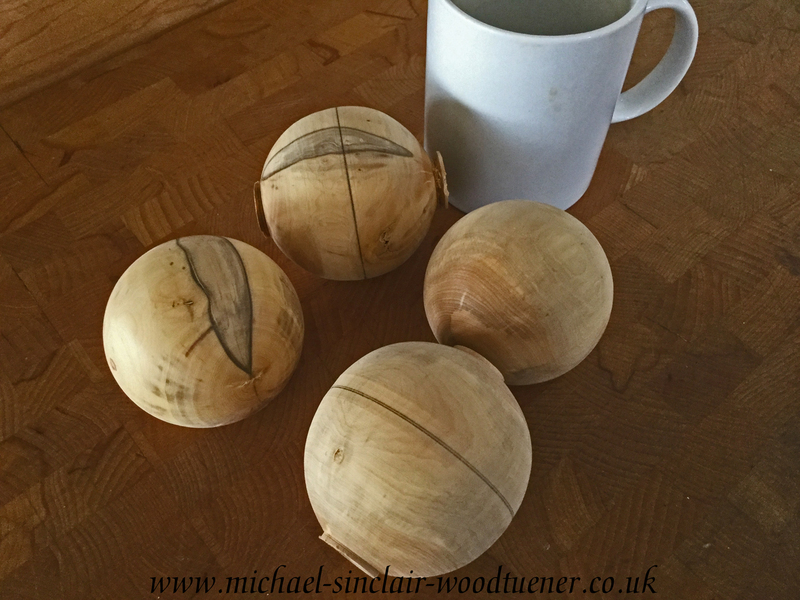 It is used in instrument making and is a very dense timber which lends itself to making the little boxes (will take a thread) and gives a fantastic finish to the petrospheres. 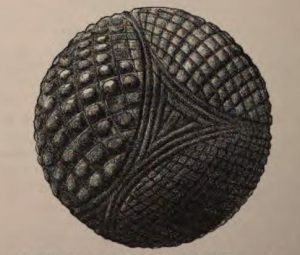 He begins by turning a sphere. 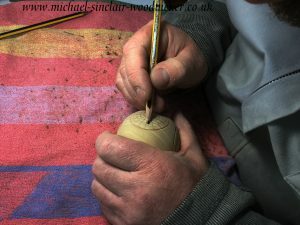 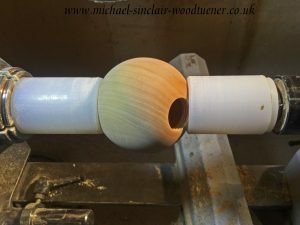 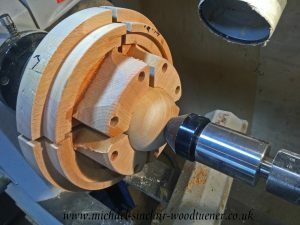 He has made a jig that goes on the headstock of the lathe to then hold the sphere for him to decorate. Some are 6 sided and some are 4 sided. As well as the different patterns, he has hollowed a couple with threaded lids, also added plugs and buttons of other timber and done some decoration using the pyrography. 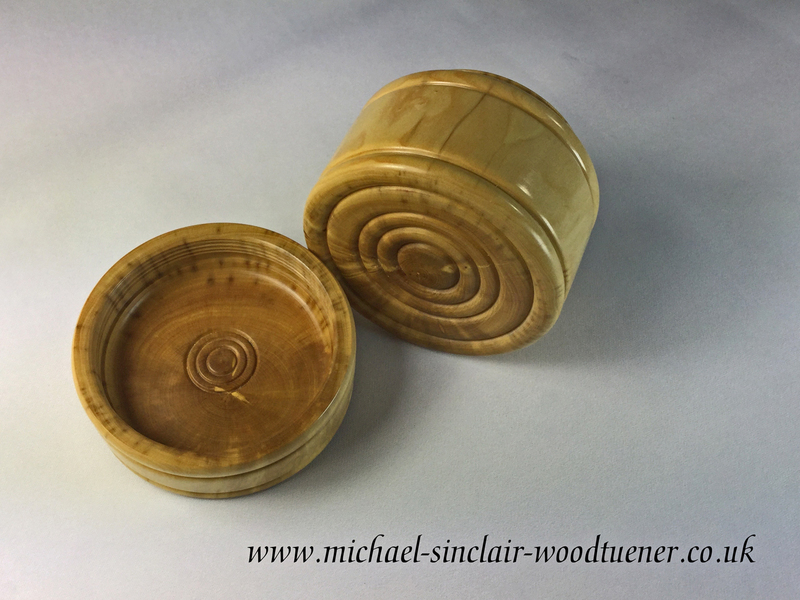 Each one is sold with a little stand, but they are difficult to put down once in the hand.